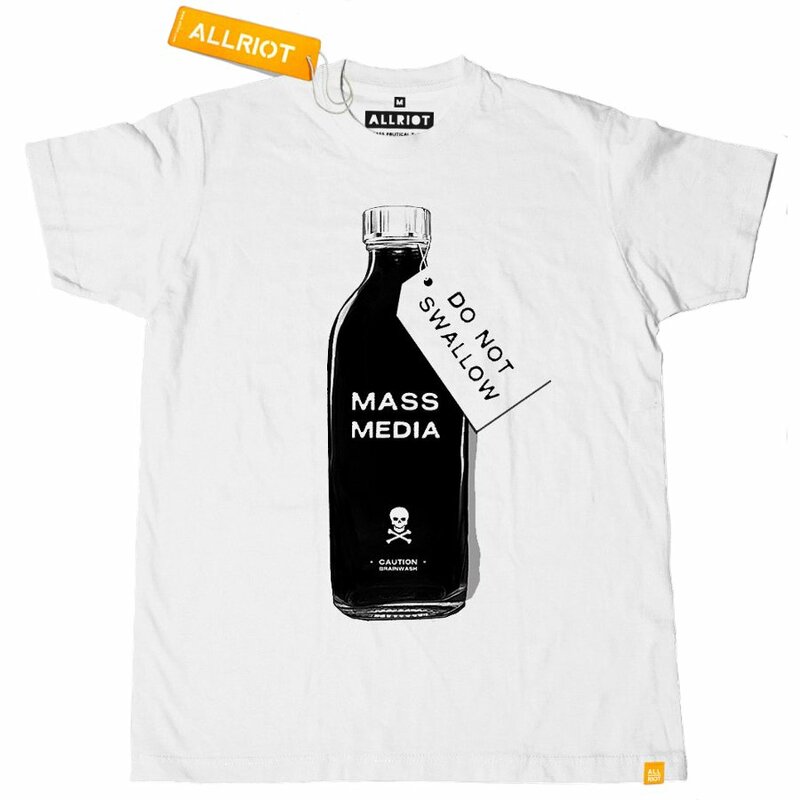 An ethically made organic cotton t-shirt to warn of the dangers of the mass media, to remind everyone that the media does not tell us the whole story and we should be wary or face being brainwashed. 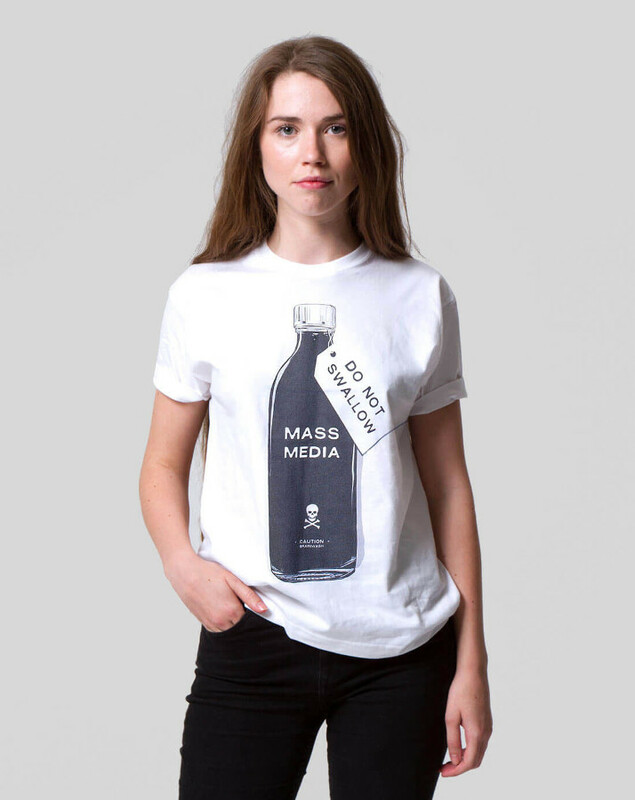 Always ask questions, always research, never take the media’s word for it. 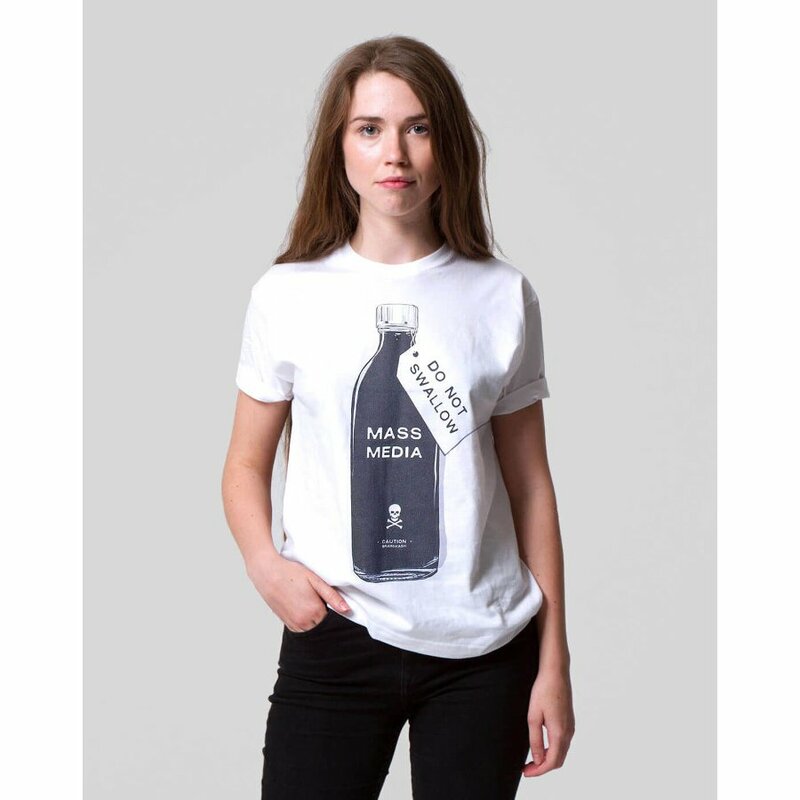 This unisex certified organic cotton t-shirt is completely sweatshop free, Fair Wear Foundation certified and printed in the UK, with no harmful chemicals used in any part of the production process. 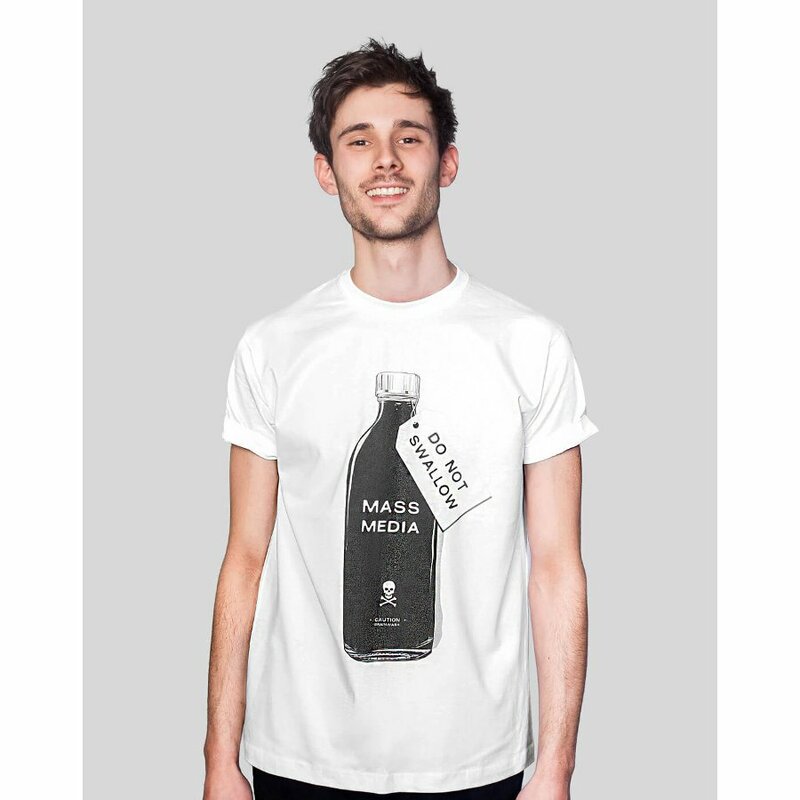 Please note: Unfortaunately this item does not ship to Ireland. 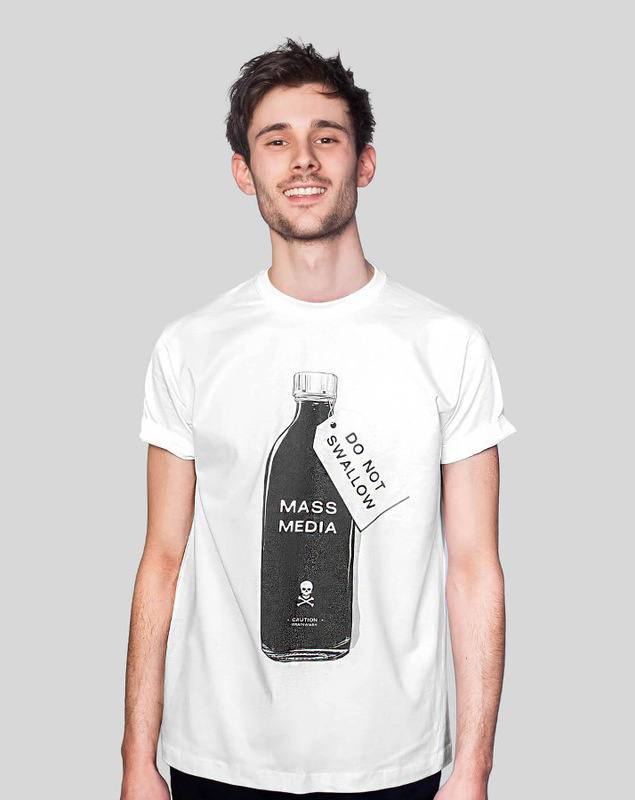 There are currently no questions to display about All Riot 'Mass Media' Political T-Shirt.